New York Times bestselling and award-winning writer Warren Ellis (TREES, SUPREME: BLUE ROSE, Moon Knight) reunites with artist Declan Shalvey (Moon Knight) and Eisner Award-winning colorist Jordie Bellaire (PRETTY DEADLY, Moon Knight) for an all-new, science fiction series that will explore a disturbing, dystopian future in INJECTION, which will launch from Image Comics on May 13. 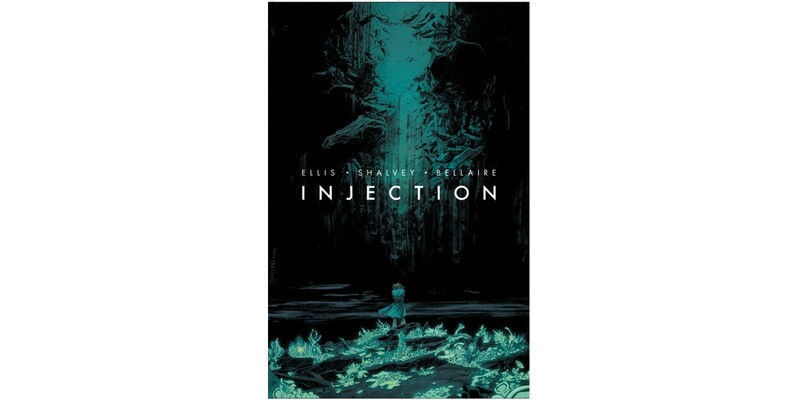 INJECTION is set in a dystopian future where the world has been poisoned. Issue #1 focuses on Maria Kilbride—a scientist working for a large multinational corporation at fault for the damage—who must deal with the messes caused by the company's experimental research. She is joined in the effort by an investigator, a technician, and an esotericist. “Injection is very heavily about the sort of things I've been discussing in my talks at conferences of late,” said Ellis in an interview with USA Today about the new project. “The connections between deep history and the future, between folklore and technology, the ways in which the present moment is haunted by the future as well as the past." INJECTION #1 hits stores on May 13. Cover A can be pre-ordered with Diamond Code MAR150468. Cover B can be pre-ordered with Diamond Code MAR150469.